We are staying in the cheapest end of quiches. This is the winner in the budget friendly quiche category with only 20,- (Equal to 3 dollars) for a 4 person quiche. That is not a lot and you can thank the Spanish people for this. It is simply a Spanish Tortilla in a crust. But at the same time this might be my favorite quiche. So simple and yet so delicious. Yum, yum, yum! I like soup! But I will share this deep dark secret with you: I don’t make them myself. I almost always end up with the ready-made frozen soups from the Danish Brand Mou – cause they are divine! Especially the traditional Danish “clear soup with meat- and flour balls” – as it translates directly – is just much better when bought ready-made. With this secret out – I am still me – and that means I will still have to try making everything myself – just for fun. In the fall I had a vegetable mania and in that period I tried making Minestrone for the first time. Then time flew by and just before winter ended I realized I should try making it again. So I did, and this is the recipe for it! But one thing is important to take note of! 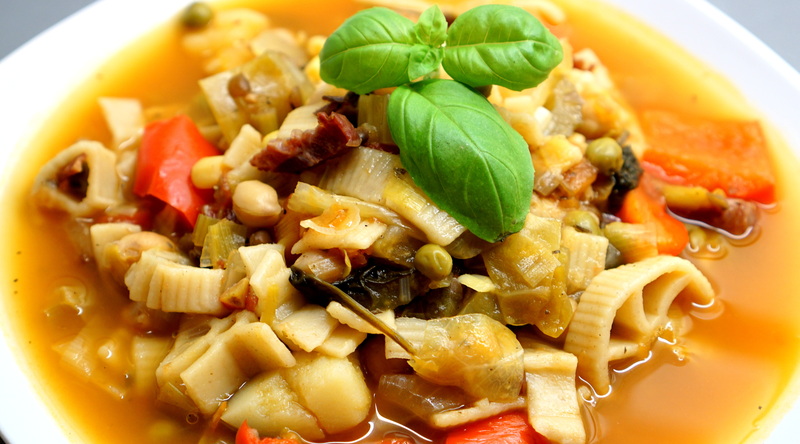 Minestrone shouldn’t be the same every time. My recipe is split in two, a base and the filling. The base is delicious and the vegetables can be changed around at your greatest desire. 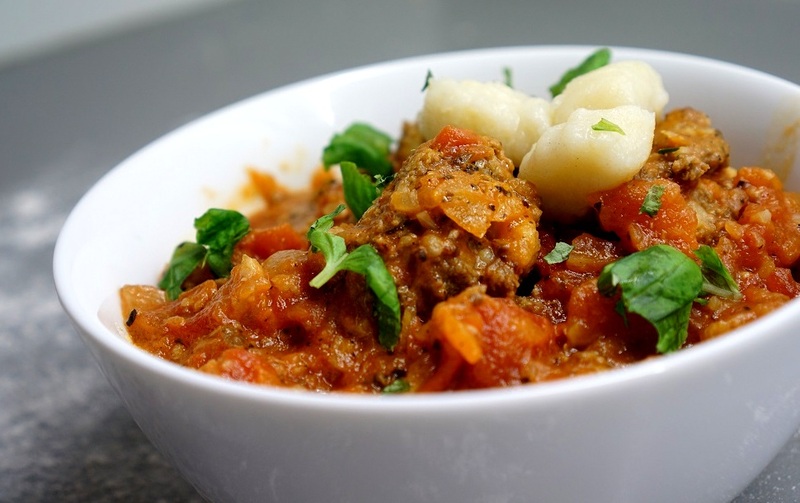 Yummy Tomato Sauce & Gnocchi! So, I actually have made Gnocchi before and I have made Tomato Sauce before and it has all tasted very nice. But I have never written down a recipe, calculated the calories or evaluated with my husband what could be improved. But now I have! Just a few weeks ago we were having some leftovers for dinner. Now, this is true: We are still eating American Meatballs because I made such a bunch. But hey, they are pretty darn good, so why wouldn’t we? So we were having meatballs, and we wanted potatoes along side of them. But the potatoes we bought (on sale, how stupid) were not good at all. So we decided to mash them up and make them into something beautiful! And that we did! That we did! On top of that I happened to make an extraordinarily great pasta sauce that night, so I think it deserved a spot since Gnocchi is so easy, it barely counts as a recipe itself. 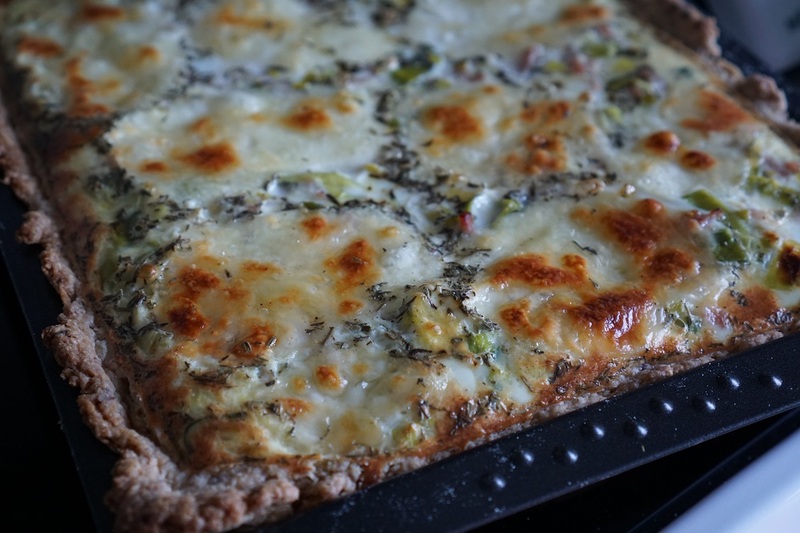 Quiche № 00 – the Dough! This post is mainly a spacesaver. 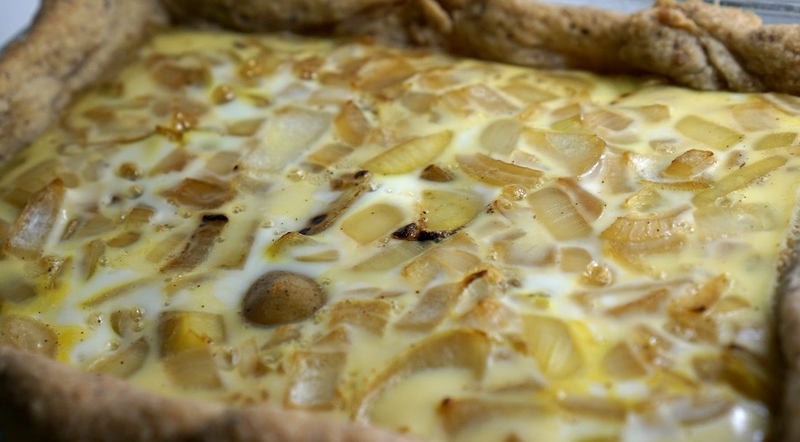 It it here because I will soon be introducing a series of different quiches – which you should look forward to! But for now my only responsibility is to prepare you, by making sure everyone can make a quiche dough (or buy one from the store). I think it’s time to make meatballs my signature dish! It all started with my Danish Pork-Patties. The classic! But then I got hot for more meatball-mania so I had to try making chicken patties – awesome they were! And as if that shouldn’t be enough I have my two Falafel recipes! It is safe to say I am totally in love with this concept of incredible food that is minced, mixed and scooped into meatballs! Or chickpea balls or whatever! Call them patties, call them balls – I will eat them for sure! And now my life long search for great balls have let me to the COW! I am going to explore the beef based meatballs that we don’t eat in Denmark – at least not traditionally! Traditionally Danes eat ground beef af hamburgers! We make a beef and then we fry it and est it with brown gravy and potatoes! But that will soon be changing if I am the woman in charge. Well, who am I kidding, I’m not in charge at all! But a woman can dream, right? For my first beef-based experiment I will be making meatballs: AMERICAN STYLE! ..Nope, that is not as authentic as it sounds. That is just my way of showing you how I see America: In a meatball! Meatball № 3 – Greek Style! And yes I know we have had our share of meatballs on this blog already but I can’t seem to get enough of this. Pork, Chicken or Beef, you name it, I’ll eat it! Yes, I will! And I know I am going to get known for my meatballs someday! That’s my true life goal! And to get a little closer to that goal we are doing Greek style today! 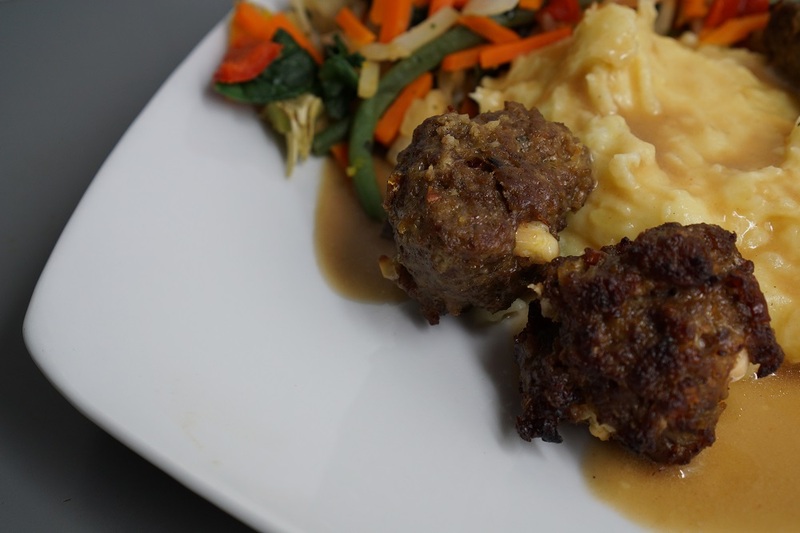 These meatballs are so delicious. We had them at a party on spears with mushrooms and squash – I didn’t like that to much! 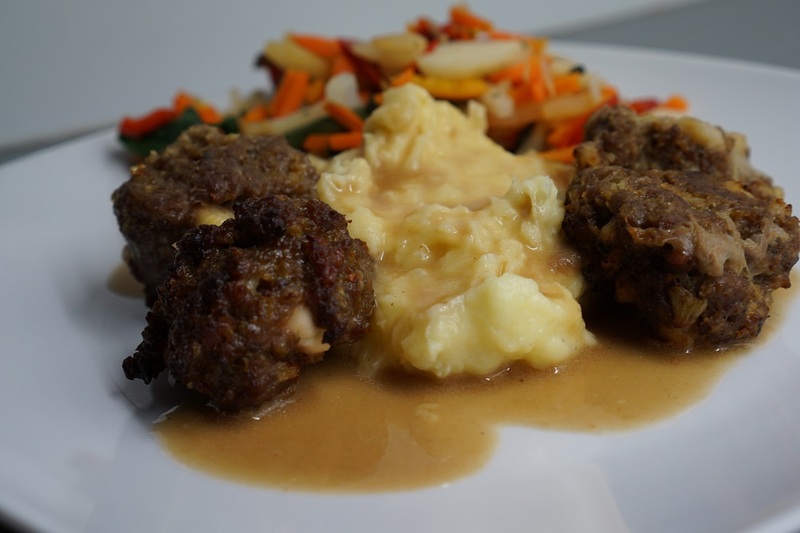 But then I reinvented it with mashed potatoes and gravy – and that was very nice! And later on, I talked with one of my friends who suggested eating them with Tzaziki, Salad and Oven Roasted Potatoes – a little more authentic one might say! Meatball № 2: Ground Chicken! Now it’s time again. It’s time for another recipe with ground meats. I just love it when any kind of meat has been cut up into bits. It’s like – everything tastes amazing when you don’t really know if its heads or tails! Yeah – I know it sounds rather unsettling, but it’s true. And for that reason, and the fact that apparently we should cut down on red meats, I decided to experiment with chicken patties. 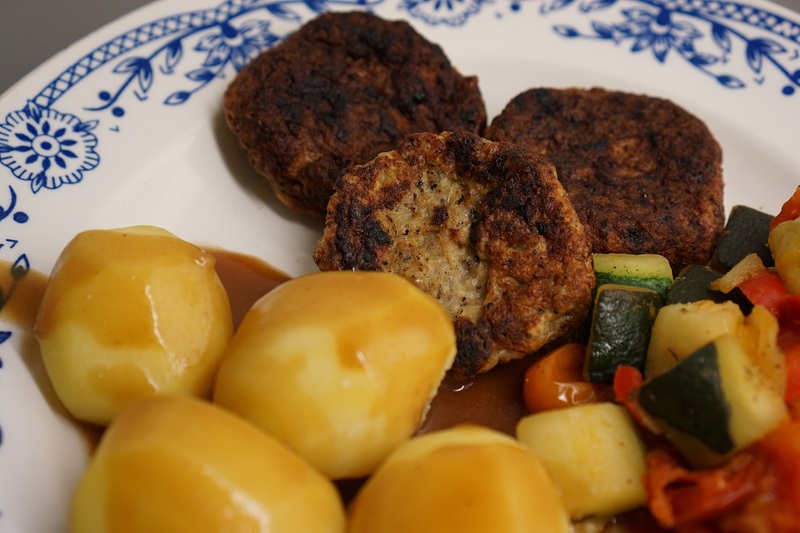 I already uploaded a recipe for the very old fashioned pork-patties that is almost the national dish here in Denmark. 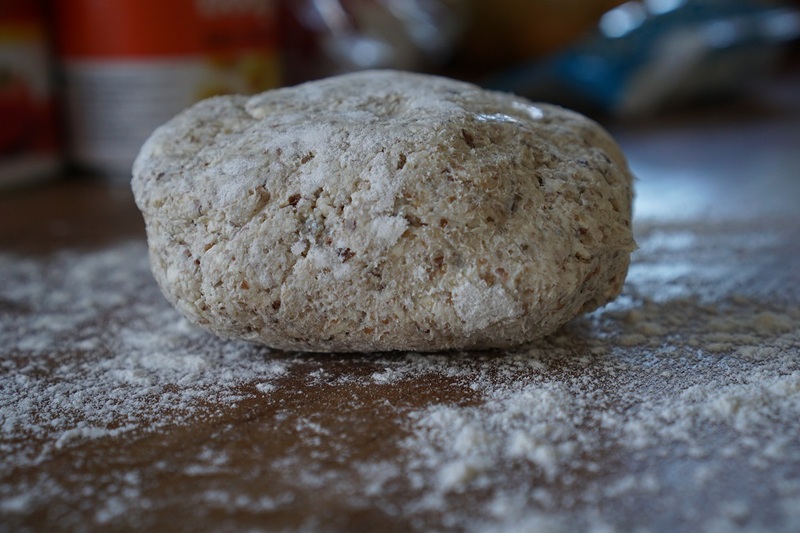 The ground principle of this recipe is completely the same as the pork-patties. But because I find chicken to be that much more bland in flavor I decided to add a good amount of dried basil. I guess one could leave that out or experiment with different kinds of seasonings. But I won’t – for now. 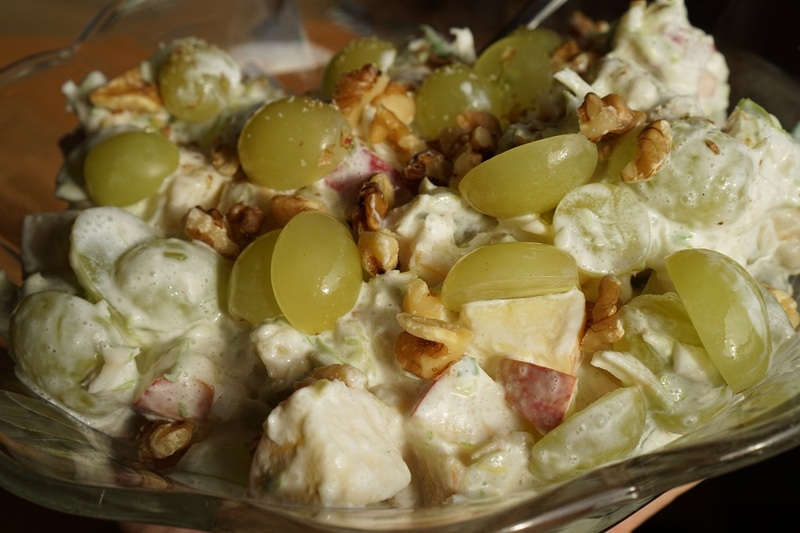 Waldorf Salad is an Iconic Christmas Sidedish in Denmark. It is by far the least healthy “salad” I’ve ever loved. But that’s just it! I love it! This is by far my favorite Christmas Sidedish. It is sweet and goes perfect with all the duck and gravy and everything. I guess it’s like the Candied Yams for Americans? 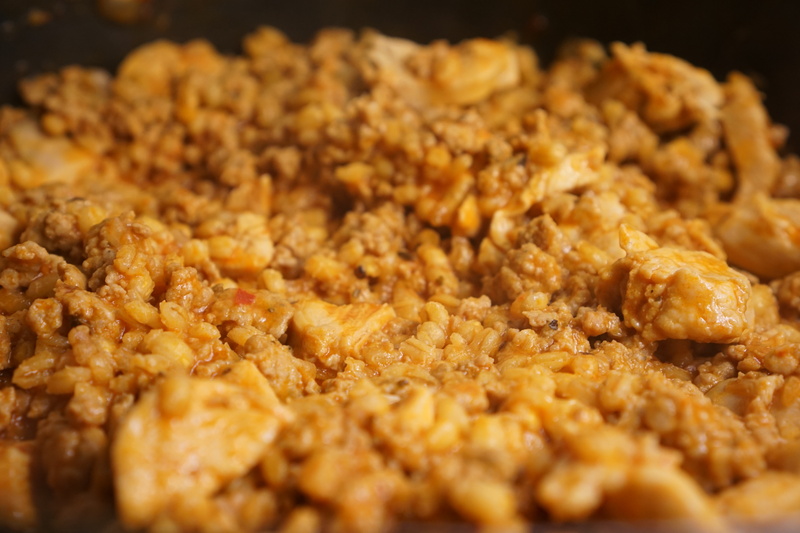 One-Pot: Chicken/Pork and Barley Stew. This is a test recipe, I will tell you. I am getting curious about all these One Pot recipes that seems to appear everywhere online.